The ID attribute specifies a unique id for an HTML element (the value must be unique within the context of the page). 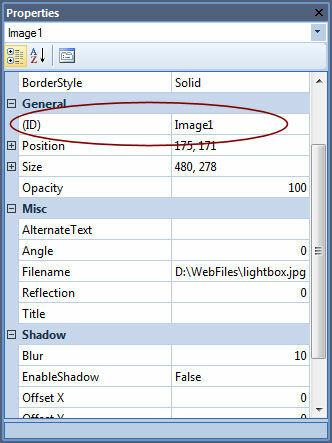 If the ID is not unique then you will have multiple style definitions for the same ID. In that case the browser will the style that appear last in the style sheet. So it's VERY IMPORTANT that all IDs are unique within the context of the page. Normally WYSIWYG Web Builder will give objects unique names automatically. 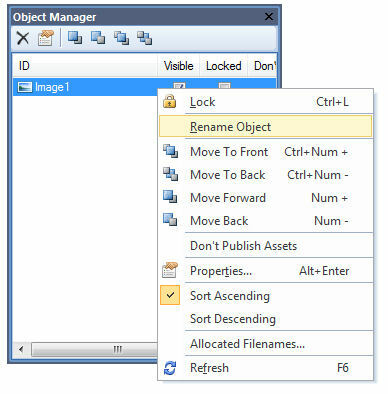 However if you use one of more master pages or master frames then IDs may be duplicated, since the software can not distinguish a master from a normal page and will simply embed the objects exactly as they are. To check for possible conflicts, please use Menu->Page->Error Reports. We recommend to give objects on a master page names with a prefix like MasterPage_Text1. This will make sure that if the master page is used in another page, the ID of the objects are unique. 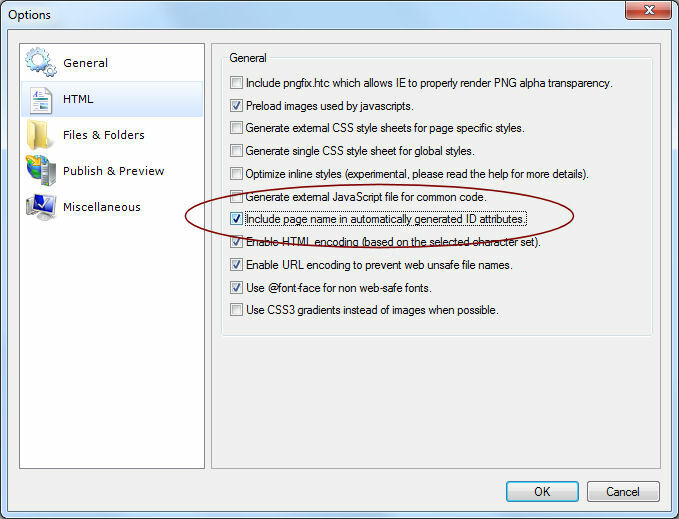 You can also enable the option 'Include page name in automatically generated IDs' in Menu->Tools->HTML.